What is a silver dental filling? “Silver” dental fillings or commonly known as amalgam fillings contain 50% mercury, silver, tin, zinc and copper. 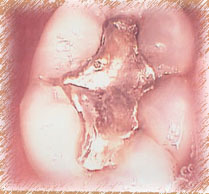 It is inexpensive, easy to use and manipulate during placement into cavities as it is soft, moisture tolerant, less technique sensitive and forms a hard material on set. 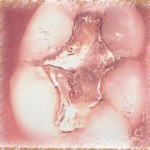 Amalgam has greater longevity as long as 10 years or more compared to other restorative materials and is wear resistant. Amalgam is condensed and packed into prepared cavities. They lack the bonding mechanism when compared to bonded fillings which restore 85% of strength that the tooth had before the first filling. A small amount of mercury vapor is released from the surface of this filling during chewing and when they are placed and removed from teeth. They are now known to have potential hazards on pregnant women due to the neurotoxic effects on developing fetus and young children under the age of 6. They cross the placental barrier and also gain entry into the pituitary gland and brain. They are linked to various disorders such as depression, anxiety, reduced immune function and interferes with many physiological functions in the body. Research has said that T-cells (important mediators of defense) decrease after placement of an amalgam filling and removing them can restore the white blood cell counts to healthy levels. Mercury in amalgam has not been a danger but mercury itself is known to be toxic and the FDA has advised against removing existing fillings although it is effective, durable and a versatile restorative material. Why replace silver dental fillings? Fillings don’t last forever. As amalgam begin to age, the filled tooth will appear discolored due to the silver seeping through the enamel. They undergo corrosion and the silver blackens. This can be a very unsightly appearance. 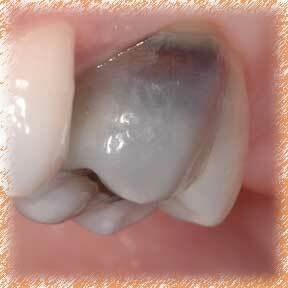 It is important to replace silver fillings when they show signs of decay as a result of leakage. Food debris and bacteria can track down to the filling and may cause pain. If left untreated, it may lead to infection (abscess). The health of the tooth maybe compromised in long term. There is an increased risk of tooth fracture in teeth having large amalgam fillings as they allow the tooth to flex beyond the breaking point and fracture. When high occlusal loads are present (higher biting force on the tooth), the risk is higher. 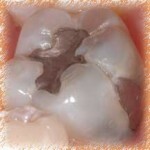 It is advisable to protect large old silver mercury fillings with crowns before they fracture. They expand and contract according to temperature change due to the mercury content, weakening the enamel. As they expand, their edges are prone to breakage. One may need root canal treatment to save the tooth in certain situations besides crowns. Leaving old fillings in place can harm the gums, as they accumulate plaque leading to gum disease. If the following situations arise, it indicates that the existing fillings need to be replaced. Your dentist can determine when you need to replace them and will discuss treatment options with you. It is often possible to repair an old filling rather than replacing them. However, if the entire filling has to be replaced, the dentist will reevaluate the tooth to determine the best filling material to use. You may voice out your preferences regarding appearance, form and function. How to replace silver dental fillings? 1. The dentist and assistants need to wear a respirator (not regular hygiene masks) to prevent inhalation of amalgam particles. Rubber gloves are preferred over latex and vinyl gloves in which mercury vapor can go through. 2. Place a rubber dam over the patient’s mouth. Provide protective eye-wear, surgical drape and moist paper towels over the face to protect him or her from the mercury. 3. The dentist then uses a drill (a high speed handpiece and a bur in a rotary instrument) to dislodge the existing filling. It is recommended to slice the filling across and dislodge in large chunks to prevent extra material being aerosolized and danger the patient and health care workers. 4. The assistant should use a high vacuum evacuation throughout the procedure over the tooth to remove the mercury vapors and suction constantly. 5. The area surrounding the teeth should be kept cool to reduce the mercury vapor and a room purifier to absorb the vapor and particulates. 6. After the filling is removed, the dentist should check for any decay and drill it away. 7. The cavity is then modified to accommodate the new filling material. A base or liner is placed if to protect the pulp (where nerve lies). Some of these materials release fluoride to prevent further decay and strengthen the tooth. If the cavity is deep, a root canal treatment maybe indicated as a solution. 8. Place the new filling material choice of composite resin (a mix of fine glass and plastic), gold alloy, ceramic (porcelain) or glass ionomer (acrylic plus an element of glass called fluoro aluminosilicate). 9. A trimming and polishing bur is used to smooth the surface and finish off the restoration. Get your fillings checked regularly and if you experience pain or fractured fillings, visit your dentist and get them replaced immediately. This entry was posted in Dental Fillings, Oral Care and tagged amalgam fillings, composite, dental crown, dental decay, Gum Disease, root canal treatment, silver filling on October 26, 2010 by suthalini.